sipp app: insight & download. Author: THE PERFECT CELLAR LTD.
It’s time for better wine! Discover a whole new world of wine in the palm of your hand. 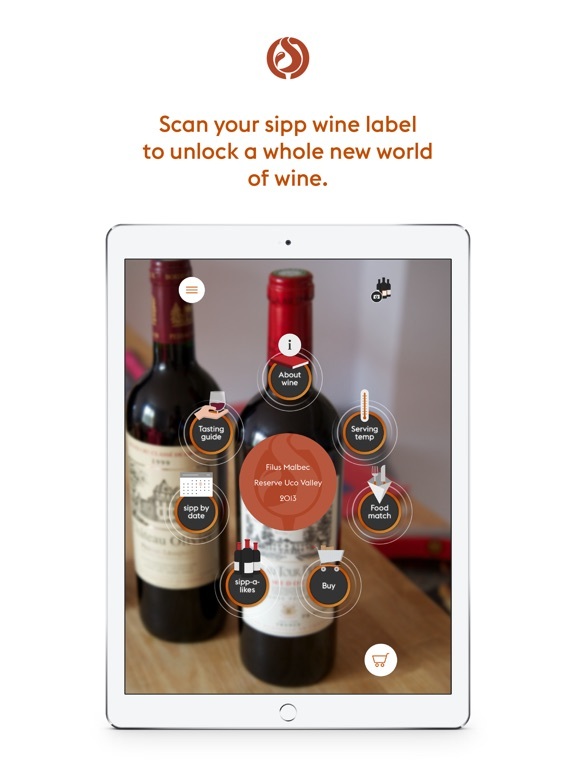 With a simple scan of your sipp wine, you’ll unlock the ultimate tasting experience in augmented reality. 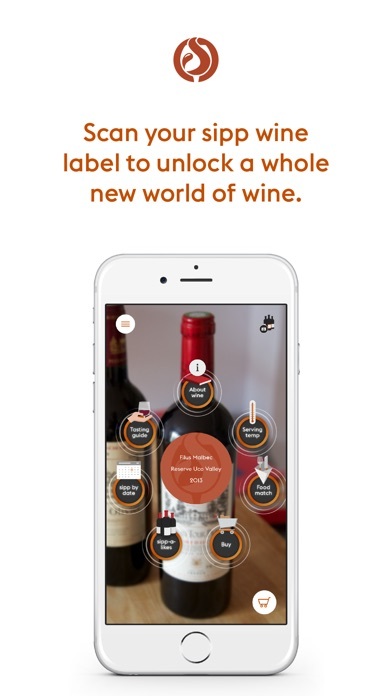 Say goodbye to boring wine labels and hello to a better way to learn about the wine you like. This includes tasting notes, expert advice like the ideal serving temperature, food pairing recommendations and some similar wines if you like what you’ve sipped. The best thing is it’s all in plain English, so you’ll be a wine buff in no time - with no need for a PhD! Some great-to-know info about your wine, including where it comes from and how it tastes. Using your senses, we’ll show you how to get the full wine tasting experience. You’ll go from amateur to wine buff in four simple steps. Whether you want to host a dinner party or just have a sipp with a takeaway, find out which foods pair best with your wine. Most people serve their white wine too cold - we’ve included the serving information you need to make your sipp sensational. Want to know more about sipp? We've made a short film to show you exactly what we're all about - now available in the app. The very best recommendations for similar wines if you like what you sipp. If you haven't got a bottle to bring to life in the app, don't worry we've added a feature to help you find your perfect wine. Manage your sipp account from your sipp app, re-purchase your favourite sipps and explore the whole collection. With many more features on the way, sipp is bound to become your partner in wine. Happy sipping! DISCLAIMER: sipp augmented reality function will only work on sipp wine bottles which can be purchased through the app or online. 28 September 2017 : Free!